Rhea Coler spent her childhood raising spiders under her home in Trinidad. Her interest in bugs and science could have stopped there if not for the advice of her first high school mentor, who encouraged Rhea to study STEM. Three degrees and five patents later, Rhea has spun a bigger web, from colonizing spiders to developing vaccines at the Infectious Disease Research Institute and encouraging the next generation of global health leaders at the University of Washington. When can you find otters, octopi, and the WGHA team in the same place? On October 11 for the Pioneers of Global Health Awards Dinner and Auction at the Seattle Aquarium! The Pioneers Awards Dinner is a celebration of our global health community—honoring the people and organizations working relentlessly to improve health around the world. Ready to dive in? Get your ticket today. Know someone who’s making waves? Nominate them for a 2018 Pioneers of Global Health award. Nominations accepted until May 11. Africa’s scientific community is getting its own scientific journal. Scientific African will highlight the work of African scientists making major advances in the search for HIV and malaria cures and solutions to climate change. Read all about it in the first issue scheduled to debut this summer. Twenty-four malaria experts around the globe are about to become cartographers, developing a roadmap for malaria eradication that charts the roads, land mines, and shortcuts to speed up eradication. The road map is part of the Lancet Commission on Malaria Eradication, supported by the Bill & Melinda Gates Foundation. The Institute for Health Metrics and Evaluation’s new Global Burden of Disease Study shows Washington ranks among the top nine states for life expectancy. Maybe it’s the mountain air or the organic food or the high-quality coffee. Or maybe it’s the 13,000 hale and hearty Washingtonians working in global health. Are you working to solve the world’s biggest global health and development challenges? 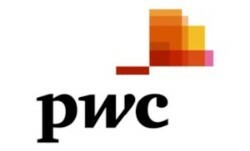 PwC partners with organizations like yours (maybe even yours!) who are at the forefront of ending extreme poverty—tackling disease, food insecurity, inequality, and climate change. With over 700 offices in more than 150 countries and 200,000+ staff, learn how PwC can partner with you to use its global network to advance your global cause. Here: Meet Dr. Jay Mendoza, new leader of the Fred Hutch Health Disparities Research Center. Dr. Mendoza will focus on patients who may be falling through the cancer-care cracks in 13 underserved counties around Seattle’s Fred Hutch. There: Anthony Okoth is the new country director for PATH’s Kenya office (one of its largest country programs). Okoth will help bring together government, nonprofits, and the private sector to improve health for Kenyans. Everywhere: Dr. Kenneth Staley steps into worldwide leadership as US global malaria coordinator of the United States President’s Malaria Initiative. Dr. Staley takes the PMI torch when progress to eliminate malaria has stalled. Four of Washington’s top institutions. One goal: Use research to solve some of our toughest challenges in health, climate, and engineering. The Washington Research Foundation (WRF) announced its inaugural class of ten fellows. Welcome to the new kids in town, and congrats to these WGHA members who landed WRF fellows: the Infectious Disease Research Institute, Fred Hutch, the University of Washington, and Washington State University.